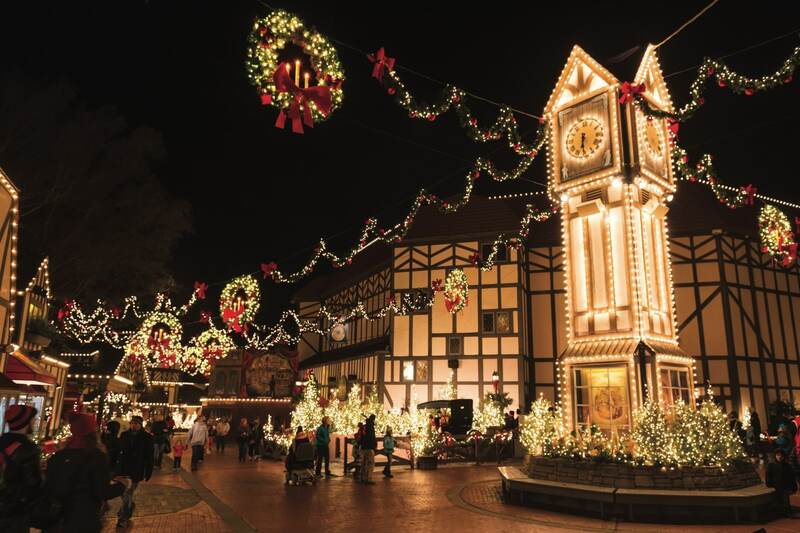 We love Williamsburg, Virginia all year round, but there is something simply magical about our town during the holidays. From the beautiful lights to the endless holiday activities, there always seems to be something to see and to do. If you’re looking for a place to visit for your holiday getaway, why not Williamsburg? We’ve put together 5 of our favorite events this holiday season in Williamsburg, Virginia that you won’t want to miss. 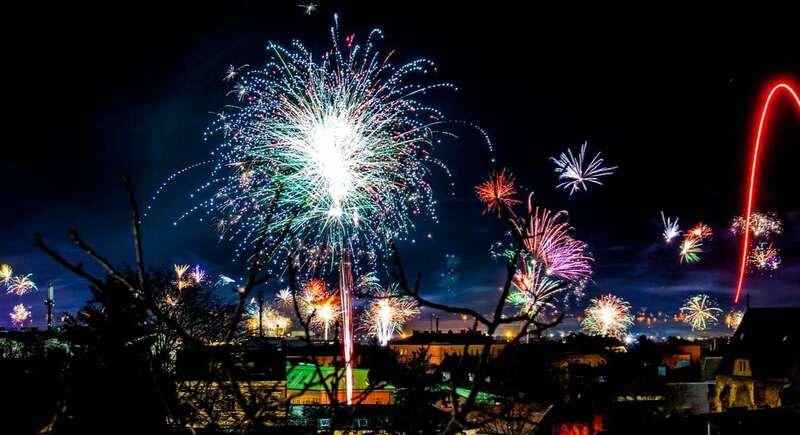 One of the most highly anticipated events of the year is the Grand Illuminations weekend at Colonial Williamsburg. Taking place the first weekend of December every year, people come from all over the world to see the streets of historic Williamsburg light up with the largest firework show in the area. (This show can give 4th of July a run for it’s money!) This event sets the tone for the holiday season. Colonial Williamsburg offers great events and historic reenactments all year round, however the ones during the holiday are not to be missed. From the Christmas Decorations Walking Tour to the holiday cooking demonstrations and live historical reenactments occurring as you walk the streets. Click here for a full list of holiday events! 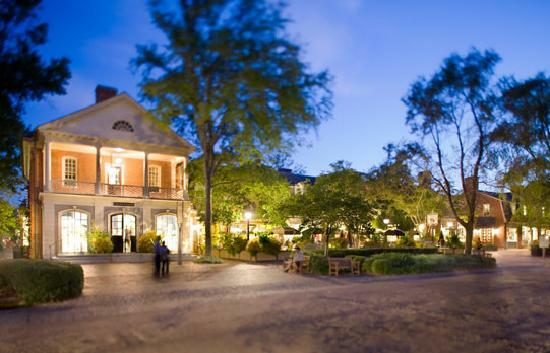 Colonial Williamsburg offers quite a few options for holiday dining. They have both modern restaurants and historical taverns that offer special meals throughout the holiday season. Click here for more dining information! Right down the street from historic downtown Williamsburg you will find the modern section of the town, Merchant’s Square. It’s a great place for shopping and dining, but also offers quite a few holiday events of it own! Taking place select days throughout December, Sparkleland on the Square offers fun events for any age. Enjoy hot cocoa while watching some holiday DIY decoration demonstrations. Live music, performers and even Santa will be stopping by! Click here for the full schedule of events and offerings! Want to find a place to ice skate? Every year, Merchant’s Square hosts the Liberty Ice Pavilion. Starting at the end of November and continuing through February, grab your family, friends, or that special someone to enjoy some outdoor ice skating right in the middle of beautiful downtown Williamsburg, Virginia! A few miles away from Williamsburg, Virginia on the coast you’ll find Yorktown. Another historic and beautiful place right on the water, Yorktown offers a great holiday kick-off weekend the first weekend in December. A holiday tradition dating back to 1945, each year the town hosts the annual Tree Lighting right in the middle of the Riverwalk area. This is a free event that includes live music and a visit from Santa Claus. Yorktown hosts a weekly farmer’s market throughout the year, however the first weekend in December they host their special holiday market, the Yorktown Market on Main. It’s a free event for locals and visitors to enjoy and includes holiday food, local artists, historic museum programs, and live music. Click here to view the event information! 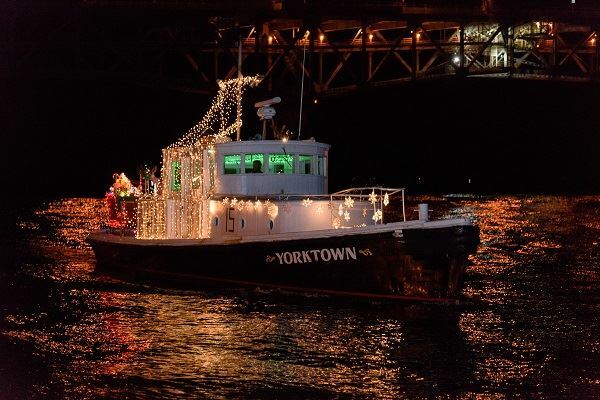 In the evening, enjoy watching the boats of Yorktown, all lit up with holiday lights, ride past for the annual lighted boat parade! If you want to get your fix of Christmas lights, you’ll want to head over to Christmas Town at Busch Gardens. This provides a more modern holiday experience, with live performances, yummy food, and the kid’s favorite holiday characters. With over 10 million lights, it’s one of the largest light displays in North America. You definitely won’t want to miss it! Williamsburg, Virginia has no shortage of quaint bed and breakfasts at which to stay. You won’t find many visitors choosing a traditional hotel, as our bed and breakfasts provide a unique and cozy experience that you simply won’t get anywhere else (Especially around the holiday season!). We highly recommend trying a bed and breakfast during your stay in Williamsburg, Virginia. Click here to see a full list of the Bed & Breakfasts located in Williamsburg, Virginia! Click here to see our 5 Star TripAdvisor Reviews! Click here to book a stay with us this holiday season! What is your favorite holiday event in December in Williamsburg? This entry was posted in Attractions, Events, Holidays, Things To Do and tagged 2018, December events, Virginia, Williamsburg by joy. Bookmark the permalink.